KVN Doss has over 20 years’ experience in Sales & Marketing. He is a Commerce Graduate from Osmania University, Hyderabad. After his graduation, he worked for 8 years with Hindustan Lever Ltd, covering various markets in Andhra Pradesh and Karnataka, selling soaps & detergents. Thereafter, he went to Oman and worked with Senco for 1 year as Assistant Sales Manager, selling office & domestic furniture to Government departments, Private companies and Ex-showroom customers. 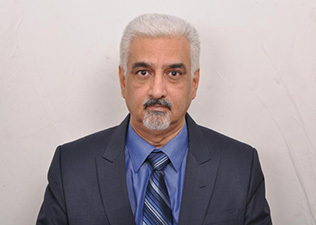 Doss then worked for 3 years as Area Sales Manager with Kothari General Foods Corporation Ltd where he was involved in the launch of cold refreshment beverages Ju’C and Tang, extensively covering Andhra Pradesh, Karnataka and Mumbai. He then worked as Area Sales Manager with Jenson & Nicholson India Ltd, selling paints & surface coatings. He later did a stint of 4 years with AV Thomas & Co Ltd as Regional Marketing Manager, where he launched AVT Tea. He then Joined Targof Pure Drugs Ltd, where he served for 1 year as Vice President – Marketing, handling bulk drugs like Norfloxacin, Ciprofloxacin, Omeprazole, Nalidixic Acid and Alprazolam. In 1996 Doss ventured out on his own and started a garment-making unit, specializing in denim jeans, shorts and skirts, cotton casual trousers, chinos, etc. Doss is now based in Bangalore and is a Senior Advisor – Sales & Distribution with YFactor.